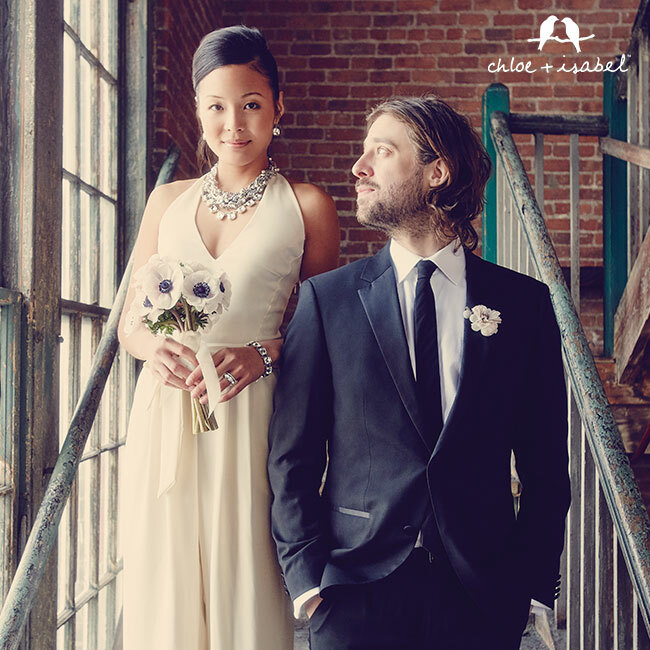 Don't say "I Do" without C+I! 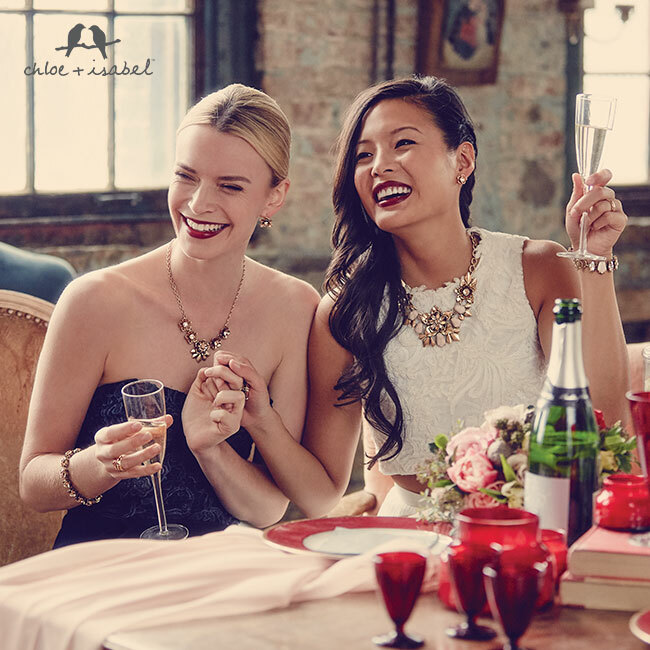 One of my favorite things about Chloe + Isabel is how easy it is to coordinate awesome looks for brides and bridesmaids--No matter their personal style preferences or budget! 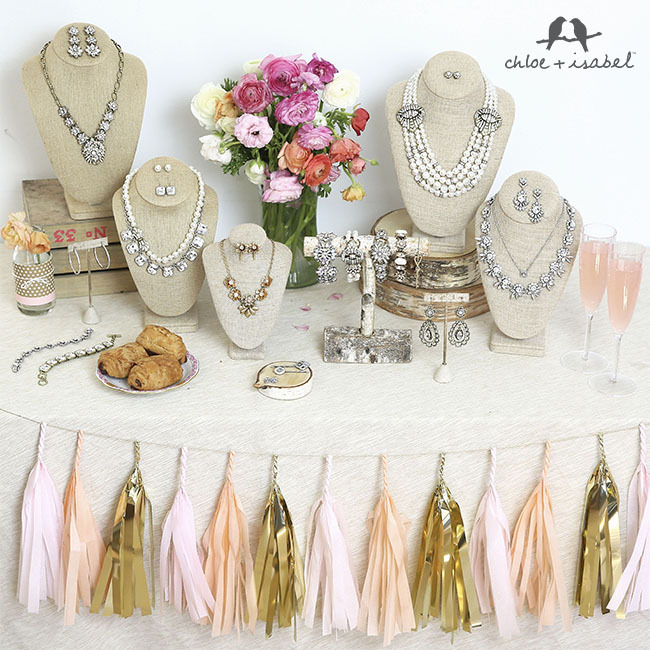 At Chloe + Isabel, we want to work with you on a personal basis to truly find your perfect look. 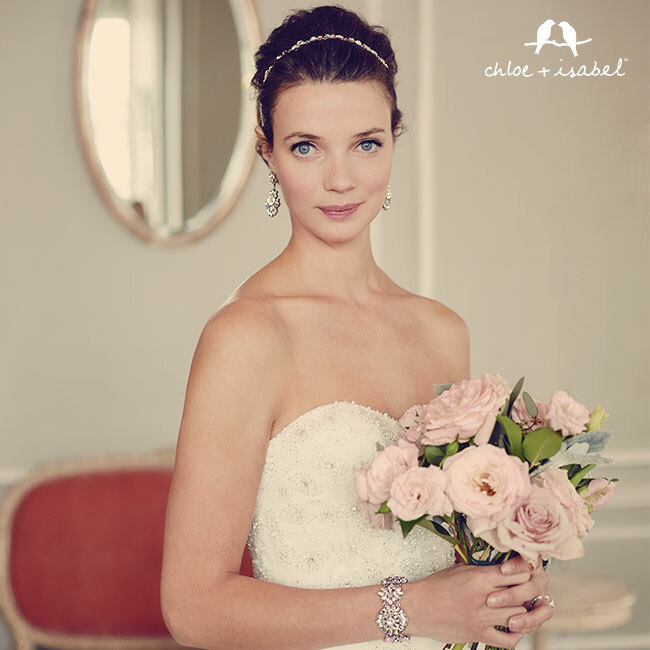 Whether you're more of a fun, free spirited Chloe OR a classic, simple Isabel, we can help tailor a custom look to meet your needs. Want to find out what C+I has available to meet your bridal party's needs? Email me today at gachloebel@gmail.com to set up a phone consultation. If you are interested, we will then schedule a C+I party for you and your girls to pick out the perfect sparkles for your big day! This rustic gold floral design looks great with almost every bridal style. 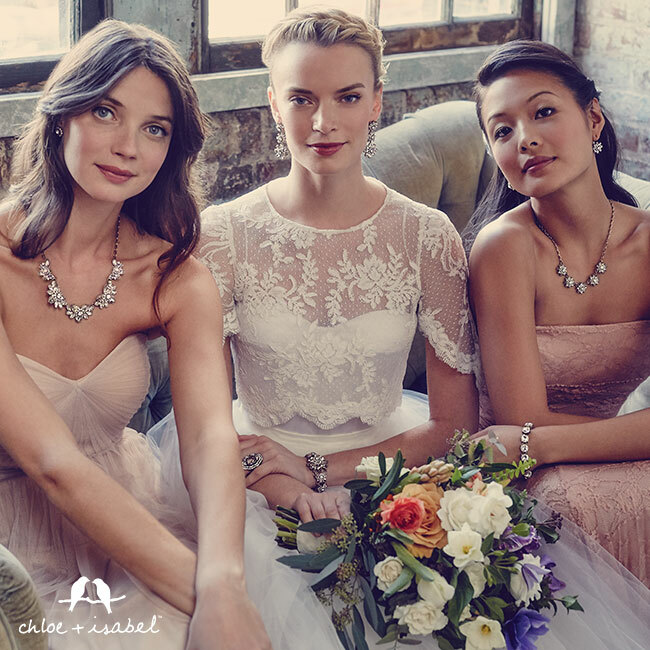 It also features three unique necklace sizes to perfectly accent dresses for your bride, maid of honor and bridesmaids. It also features statement, drop and stud earring options! Looking for a more modern style? The Retro Glam collection will get you squared away. With three colors to choose from and a variety of accent pieces, this is one of my go-to favs for the modern bride. If you're looking for fairy-tale princess sparkle, this clear crystal collection is perfect! 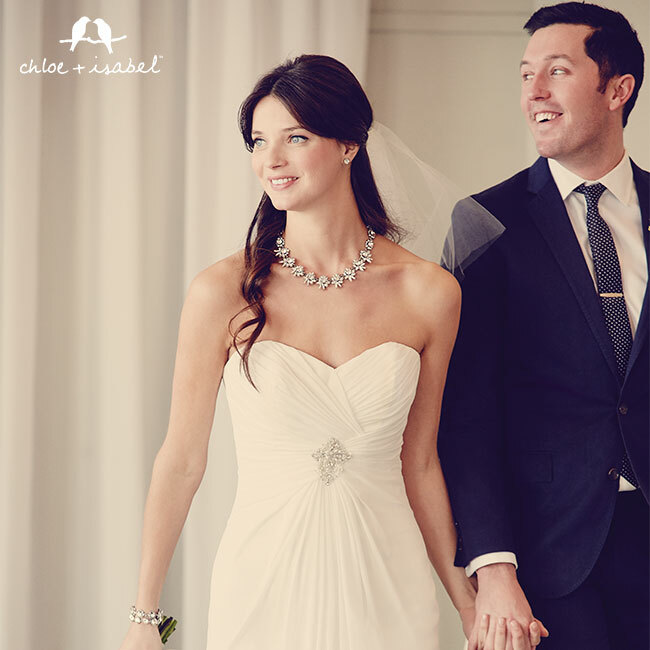 The statement necklace is one of my all time favorites for a traditional sparkly wedding. Also, there is a variety of ways you can accessorize it. No, it isn't called that in the catalog. 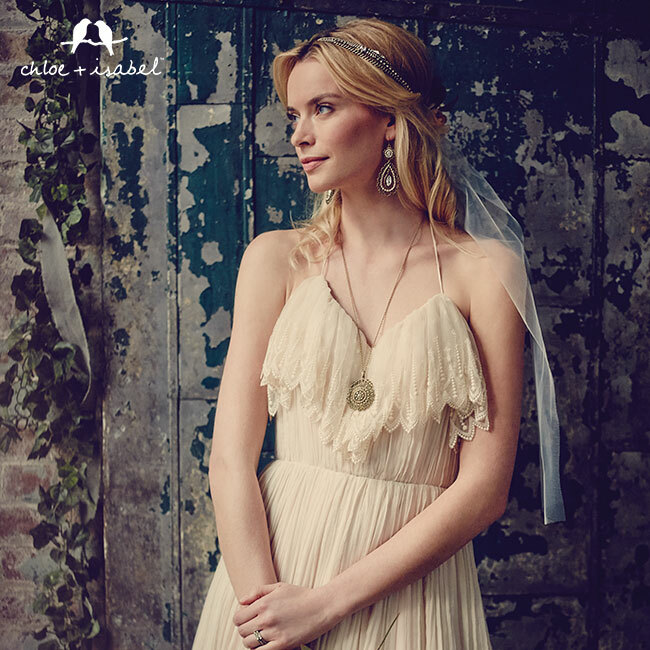 But, the filigree and seed pearl pieces featured in this bridal look are perfect for a free-spirited boho bride. Just throw in a lovely bracelet and you have effortless, timeless style. This lovely collection adds a little pretty in pink sparkle. From the coordinating headband to the to-die-for statement earrings, this collection has tons to offer any bride willing to add a little girly color to her accessories. Gold and flowers. What more could you ask for in a beautiful wedding look. I love the southern charm of the floral Gardenia collection for brides and bridesmaids, and just a fun trip to the movies with your hubby! This is the perfect accessory for the classic Audrey Hepburn loving bride. It is just large enough to create a "wow"-factor while still being very classic and elegant. The statement bracelet looks good with any bridal look..
One of the coolest things about styling your wedding through C+I is the hostess perks program. 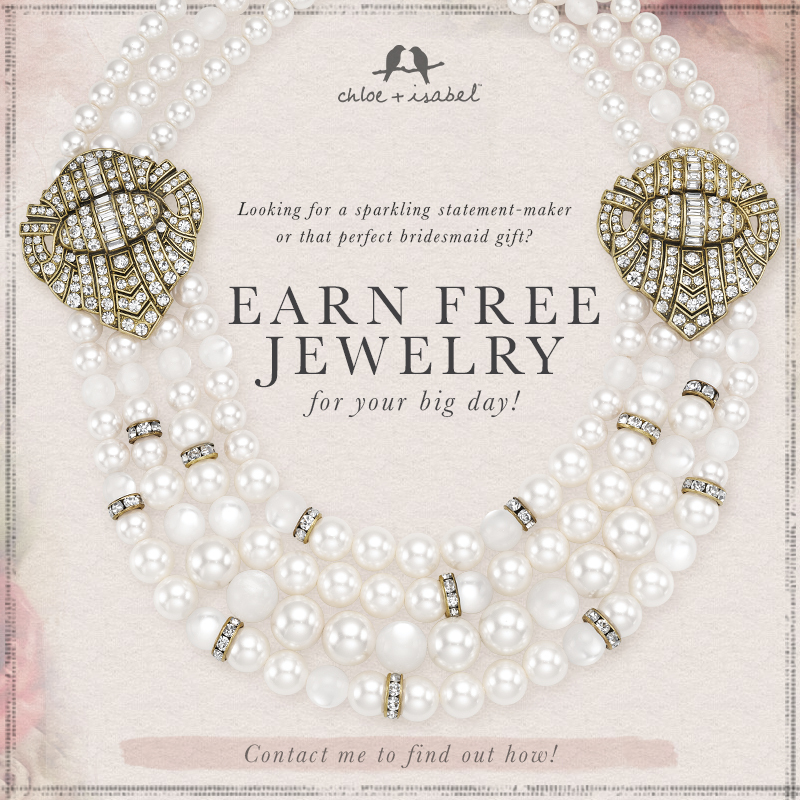 Ask your C+I Merchandiser how you can earn Free Jewelry for you big day! Want to learn more about Bridal Styling? Fill out the contact form below!